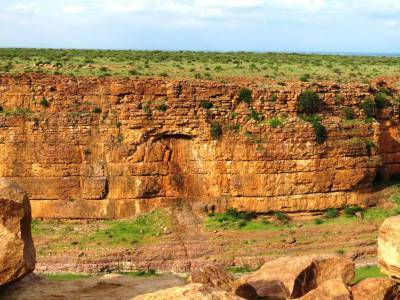 Gandikota is popularly known as the Grand Canyon of India and is mesmerizingly beautiful. It is a spectacular place in Andhra Pradesh situated on the Pennar River. A Gorge is a valley that is typically formed by water sources that are flowing between tall blocks of rocks. The rocks are cut through by different rivers and it takes several centuries to form the Gorges which are formed as a result of erosion. 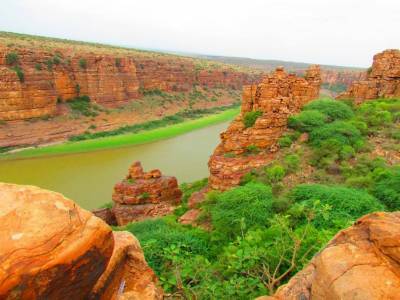 In the same way, the Gandikota Canyon was born. It is hard to believe that the Pennar River could form such an enormous gorge but due to the continuous flow of water through it, deep carve was made forming a beautiful site. 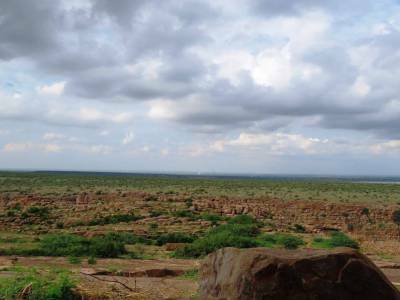 The area consists of valleys and huge boulders between the Gandikota hills or Erramala hills. Pink granites form the bed and the igneous rocks found here are formed by decomposition. The canyon is of great importance for the Andhra Pradesh history and serves as a tourist hotspot. 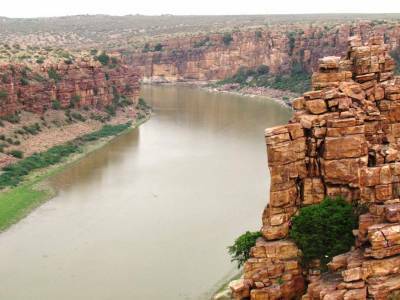 The magnificent and medieval Gandikota fort was named after this Gorge. The Gandikota fort is in ruins today with debris and varying stages of decay. The ruins lay amidst large boulders. The fort hosts a heritage festival every year. The Chief Minister of Andhra Pradesh finally took notice of it and decided to take care of this heritage site in 2015. There are camping facilities available as well. It is a splendid site with lots of adventure treks for the courageous travelers. It is a true hidden gem of Andhra Pradesh. The closest railway station is the Muddanuru in Kadapa district which is at a distance of about 26kms. The picturesque Canyon is a must visit attraction while travelling to Andhra Pradesh. The nearest town from the canyon being the Jammalamadugu, from where the passengers can avail buses too. 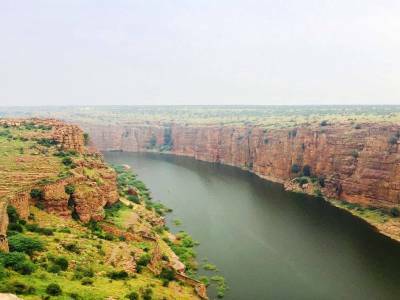 Get quick answers from travelers who visit to Gandikota Canyon.